Just as cellular and wireless technology delivered incredible convenience and power that transformed telecommunications, VOIP is making office communication less expensive, and more flexible. Voice quality issues – once a problem with VOIP – are a thing of the past. Business-grade cloud phone systems sound the same as traditional telephone networks. VoIP technology is efficient, flexible, and because it is integrated with your computer system, easier to control and customize. With VoIP, long distance call charges are either completely absent, or dramatically reduced. The cost savings and flexibility of cloud VoIP is why most companies switch. But VoIP is a superior phone system to the traditional alternative in almost every way. Being able to adjust your phone system quickly, without the complexity or burden of now out-dated technology set-ups makes it a pleasure to work with. And because they are made to do just one thing and do it well, cloud telephony streamlines phone system management. Less time, less hassle, lower cost, and more flexibility, add up to a winning scenario. Once they adopt VoIP cloud telephony, most businesses wish they had done it sooner. 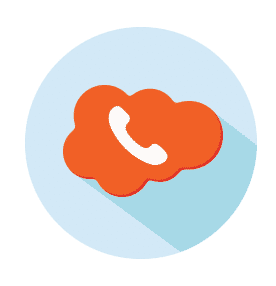 A cloud phone system can adapt to your business as you need it, quickly and easily. Adding new extensions is painless, and with the power of computing behind it, there are a wide variety of ways to configure your phone system to work the way you want it to. 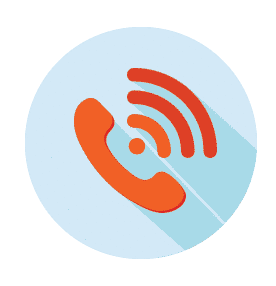 Wherever your team is, hosted VoIP makes it possible to connect everyone within one telephone communication platform. Your communication system is the heart of your business. Phone calls to clients and vendors, faxes and emails, text and messaging – it`s a heavy load, but a crucial one. A Cloud VoIP phone system can carry that load better, at a lower cost. Ask us for a free VoIP consultation. We’d be happy to show you how it works and answer your questions.